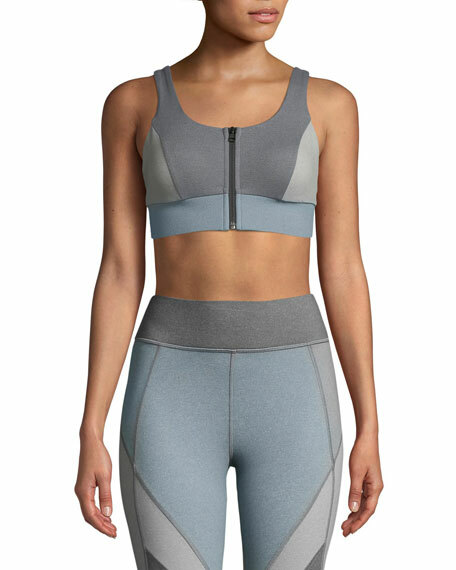 PE Nation "Double Header Crop" sports bra in colorblocked performance fabric. 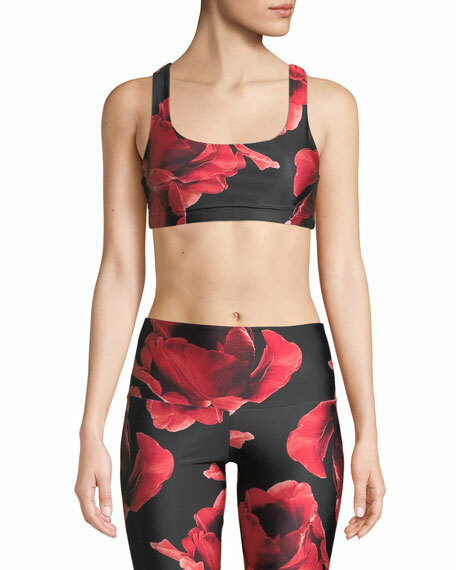 Ideal for low to medium impact activities such as yoga, cycling, or walking. Slinky hand feel; second-skin fit. For in-store inquiries, use sku #2416294.